We all know which type of brush to use for our eye shadow, which brush for our blusher and which brush for our concealer. But did you know that you should be cleaning your brushes on a regular basis? It is that important that washing them should become part of your beauty regime. 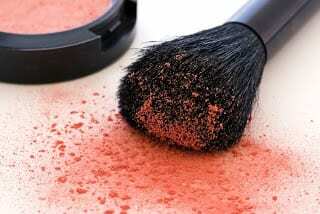 When you use your make-up brush it keeps bits of make-up, dirt and oil in between the bristles. So even though this seems trivial, it can lead to clogged pores and dreaded breakouts – which is what every girl hates. On top of all that, great make-up brushes are expensive so you don’t want to be buying new ones regularly when cleaning them is such a simple task that won’t take up much time at all. Learning how to clean them should be seen as an investment. The first step it to give it a daily spritz before you use it, A lot of beauty stockists sell a daily brush cleaner like Sephora but that’s expensive so look out for a cheaper one. If not a spritz of water will more than do. A deep clean is recommended to be done every week but every 2-3 weeks is more than sufficient, especially if you’re realising your fresh faced beauty and using minimal make-up. 2. Gentle, lightly fragranced shampoo or even a specialist baby shampoo (its kinder and softer). 3. Your sink to be free. 1. Run your brushes under a lukewarm tap. This will help you to get rid of all of the old make-up on the bristles. 2. Make sure your bowl has lukewarm water in it, squirt a little bit of shampoo into it and then swirl your brush around in the bowl working up a little lather. 3. Rinse under tap and repeat. You could leave your bristle dipped in the water for ten minutes and then come back and rinse again. 4. Use your towel to wipe your brush clean and get rid of the excess water. Then reshape your brushes bristles. 5. Have an extra towel ready to lay your brushes on to dry. So, there you go. Keep your brushes clean and avoid spending more money buying more whilst also reducing the chances of getting spots. It’s a win all round! !